1. POS application assists only in billing. Most of the POS Application often comes with inventory management, account management and many other features besides billing. It automates and simplifies your daily business operations and helps to manage it comprehensively in real time from anywhere. On the contrary, POS app simplifies your business processes, from keeping the record of due/advanced payments from your customers as well as vendors to tracking your inventory status, sales pattern and more. All your data are then consolidated and presented in a compact report for you to make major business decisions. What do you think is simpler? Turning your old, soggy register book, page by page and going through each entry with squinting eyes? Or, with few taps you land onto the exact record you wanted to refer to in the first place? It is definitely faster, easier and simpler to enter your customer record automatically through an app than doing it in the old fashioned way with pen and paper. It surely does reduce the probability of making errors. 4. I would require high internet speed to use a POS app. 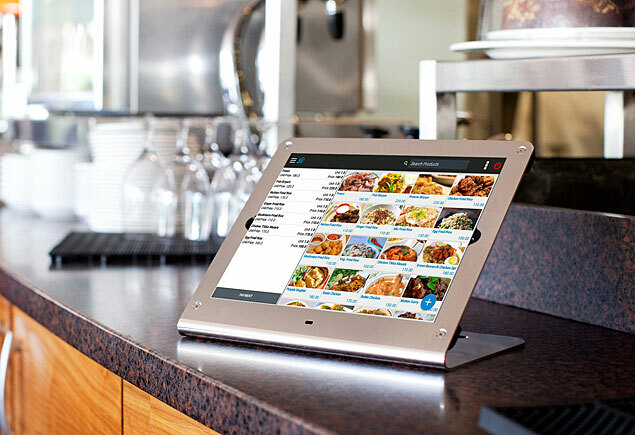 A smart POS application can run with or without internet. If you run a single outlet business, having internet connectivity is not a compulsion. However, for your multi-outlet or chain business, internet is required to operate business from head office (cloud) portal. This can be supported via basic 2G or 3G internet speed depending on the POS hardware configuration. Rest assure! Your data is not going anywhere. Even if you lose the connection in between, then the app will automatically switch to offline mode and all your data will be saved in your device memory. Whenever you reconnect your device to the internet, your data will get synced and updated with the cloud. So? You still think using a POS Application for your business is a hassle? As POS is the main hub of your business, it is quite natural to be apprehensive about switching to a new technology. Replacing your trusted old register book might seem scary and difficult now, but once you cross that bridge of ambiguity, the switch would prove to be profitable in the long run. If you ever want to make that necessary leap to POS application or have any queries about POS, we at Just Billing are happy to help you.